I bought the Rock Pi 4 B since the Raspberry Pi 3B+ cannot play/encode the 265 DVB-T2 FullHD TV signal being broadcasted here and I hoped that the Rock Pi 4 would have the same gpio pinout. I wanted to use the Raspberry Pi DVB-T HAT addon board for gpio. I am using the newset LibreELEC 8.90.013 from the release two days ago. Is there any chance I can get the DVB HAT working via gpio? How can I proceed? Pins should be the same across all boards, but can you link extension board? (which is the Sony CDX2880 dvb device in the HAT) doesn’t give back anything. How do I link the extension board? This is the DVB-T2 uHAT that I’m trying to get working on the Rock Pi 4. Any ideas (since it is not even showing in dmesg)? I ultimately unsure if there that much of software (and hardware) compatibility between RasPi and all other board. Quick google showed me, that there is difference in how board handle GPIO (i.e. raspi support interrupts on all GPIO, but some boards only on specific ones, and there alsp a bit of tech language i do not fully understand about SPI bus, i2c controller). Unfortunately, I could not find the schematic or pinout for the Raspberry Pi DVB-T HAT. It seems CDX2880 uses SPI communication with the Raspberry Pi. In that case, we need to check which SPI channel it uses. We have only one channel of SPI_CS on the 40PIN GPIO. Any idea what pins are used on the Raspberry Pi? 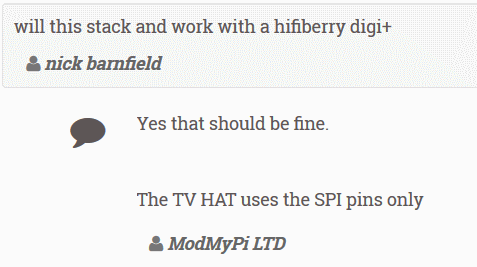 According to an FQA on the ModMyPi site, only the lines necessary for SPI are used. does that mean it could work, maybe… or no chance, never? I don’t have an idea what “the lines necessary for SPI” means. Actually, I would have said that sounds good and the chances are good, but now I’m not so sure anymore. Pin 19, 21, 23, 24 are laid out directly to the pins of SPI device on board. If the SPI bus is suitable for sharing with other devices, only the developers can tell us. And of course the design of the DVB-T HAT is also important. 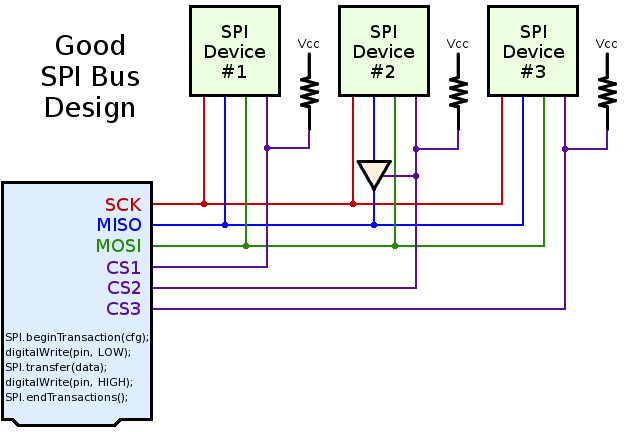 For example, an engineer investigated the design of the SPI bus, microcontrollers and their accessories. @SunWukong is there anything I can do from out of Libreelec to test for you? @Jack regarding the Rock Pi 4 internals are there any chances that the HAT will work or should I give up? is there anything I can do from out of Libreelec to test for you? Thank you, I’ll wait a little longer. The development is progressing and I also have other interesting projects that I am working on. Currently I don’t know how the HAT connects to Raspberry Pi and if it needs a dtbo to work. But from this slide, it seems the driver needs kernel 4.17 or later. So it can not work on ROCK Pi 4 now unless we move to mainline, which will happen some time this year.